Your guide to understanding statutory holiday rules and calculating stat. holiday pay – plus a model policy you can use right away! This easy-to-understand guide provides a thorough review of the minimum employment and labour standards related to public/statutory holidays across Canada, including all provinces, territories and the federally regulated jurisdiction. Plus: recommended HR and payroll best practices for managing stat. holidays and a sample policy. What are statutory holidays in my jurisdiction? How do I calculate stat. holiday pay? Do stat. holidays count toward overtime? How does working part-time affect statutory holiday entitlements? Can you pay employees their regular wages for a public holiday, without doing the calculations described in this guide? Should employees be given premium pay or a substituted day for working on a statutory holiday? Who decides which day to substitute for a statutory holiday? When do weekly overtime rules apply in a week with a public holiday? Is the first Monday in August a statutory holiday or a civic holiday in my jurisdiction? digital and print versions for only $49.95! 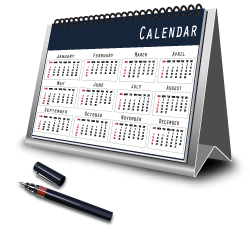 Click here to preview the contents of Statutory Holidays across Canada.